When we moved down to Missouri a lot of important paperwork was created. This was added to the existing papers we kept in a safe deposit box at our local bank. Well, actually, all the important papers and family jewels are currently sitting in a file cabinet at the moment because we've not gotten around to getting a new safe deposit box at the local bank of O'Fallon. It turns out that the amount of precious goodies has increased, and thus the size of the box in the bank's safe must increase too. I did some investigating and discovered that I could buy a fireproof safe and pay for it over 6-7 years with the money I would have used to rent a bank vault box. That seemed reasonable to me. I went about researching fireproof safes and found one to my liking at a gun safe dealer in South Carolina. I'm guessing it's a mom and pop operation because it took nearly a month for the safe to be delivered. It was shipped UPS, which surprised me. It's about a two foot cube and it weighs in at 135 pounds. That is quite a load for the UPS driver to handle, but I was here when he arrived. He was nice enough to put the heavy load in my garage. I congratulated him on his muscular strength, and he smiled. My intention was to put the safe in a corner of the basement and then surround it with cinder block. That's probably not necessary in that it is speced to protect the contents for two hours at outside temperatures in the 2000F range. That's more than the average house fire temperature in my estimation, but I like playing with cement leggo blocks. 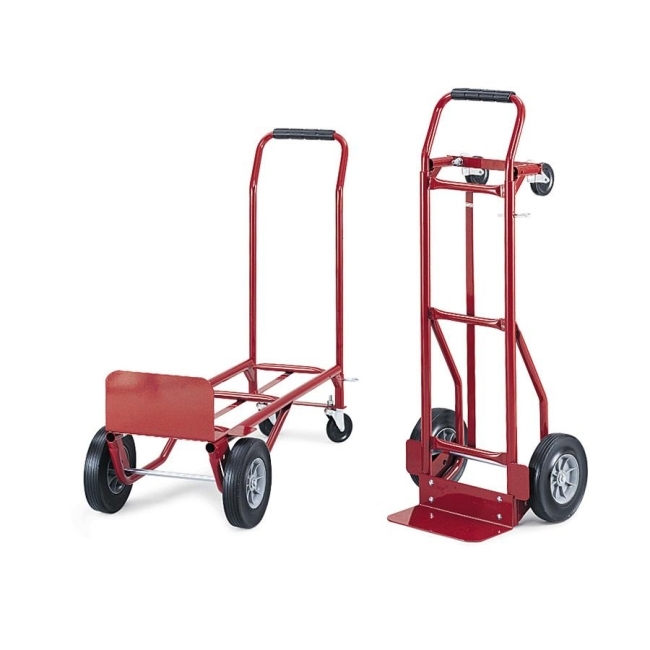 I got myself a hand truck so that I could transport the safe from my garage and downhill to the basement walkout door. That was my intention, but apparently the cargo shelf on the hand truck is too short to lift up 145 pound 2 foot cube, i.e., the safe plus packing material. The truck can be laid down for transporting things because it has four wheels; two at the bottom and two at the top. Well, the wheels are large and the platform onto which the safe must be placed is 10 inches off the ground. Lifting the safe that short distance has proved beyond the capabilities of my 73 year old body. So ... now I have a fireproof safe in my garage, but I can't move it to where it is intended to be. oooh, how i hate those dilemmas! perhaps leave it in the garage? build a box around it that looks like it's just a box with old junk lumber thrown in. I have thought about asking a neighbor to help. It could be a bit awkward, however, given the weight of the problem and the fact that I'm only on a hand-waving status with anyone nearby. I've not thought about a car jack, but that's an interesting idea should I be able to figure out the leverage involved. Kathy also suggested we could have a garage safe instead of an indoor one. It might work but that garage gets pretty cold and damp at times. I don't know how outside weather would affect the box. i think maybe call the place you bought it from? The climate environment in the garage isn't like inside the house. I'd be concerned about corrosion of the internal locking mechanism first of all, and then who knows what the gas fumes, and temperatures ranging from -10F up to 110F could do to the finish and mechanisms. Plus, do I really want to go out to the garage to fetch the family jewels? There are steps from the garage into the house. If I could navigate those steps I'd be able to put the box on the cart and wheel it away. Moving it seems to be a simple matter of grunt work. I just don't have enough grunt available at the moment. i know what you mean... today i found myself gruntless to the point where 5 steps on the stairs to the next level seemed insurmountable. i said to irene, the one who will be 91 next month that i was going to lie down as wasn't feeling too good. she looked at me and said "you don't look too good either..."
still, it went away and now that it's bed time, i'm wide awake. Shortness of breath is not a good sign. I hope you are getting the proper medical advice for that. I figured I would like to live to age 93. Now that I'm within distant range of achieving such a goal, I'm having second thoughts. If I don't have enough grunt left at 73, I can't imagine how gruntless I'd be 20 years from now. Then again I'm not willing to give it all up right now either. it wasn't shortness of breath, rather out of strength to carry my own carcass. no idea what that was about, it hasn't happened since. still, i get those episodes once in a while when, for a few days, i seem to have used up all my energy by climbing out of bed. i actually remember the worst one, in 1991... for a week i crawled to the bathroom and back to bed on all fours, didn't have enough to even stand up. never got an explanation for them. Lately I've been reading about dermatitis, bacterial infections, and the myriad of ways you can self-diagnose yourself for any number of ailments. One interesting symptom with a form of dermatitis is that it can weaken your muscles and take away your strength. It's frequently self-healing, but professional help may be necessary depending on exactly what you got. It seemed like a bizarre symptom for a skin infection. It may be time to get medical advice for that over exposure. Who knows? There may be a cure for it. i did. was given industrial strength hydrocortizone cream that tames it, but that stuff thins the skin, so i'm trying to avoid using it. Baking soda and water paste is supposed to cure everything. Have you tried that? that's a new one on me... hm... i'll try it on a patch, but i also noticed that the back yard is full of ... oh no! brain freeze!!! ah! plantain. i'll be harvesting some tomorrow, IF it doesn't rain again.